It stars Shirley who gets evacuated from London and goes to live in the countryside! 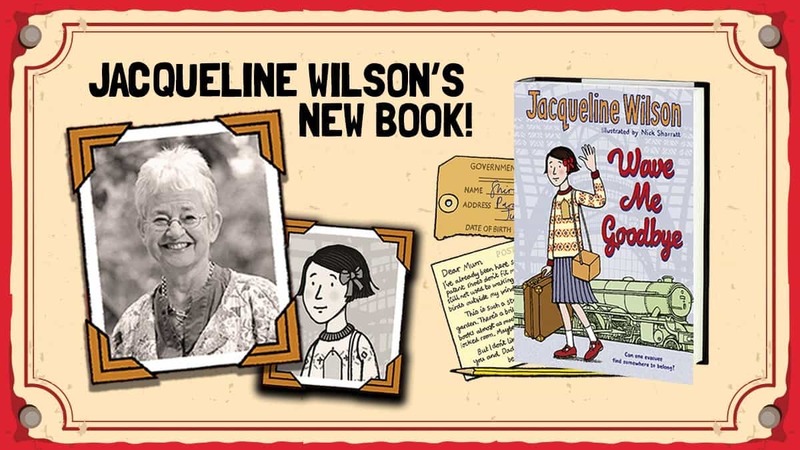 If you’re a fan of Jacqueline Wilson, you’re sure to love her latest book, Wave Me Goodbye! Shirley is evacuated to a quiet village along with two boys from the East End: troubled Kevin and confident Archie. Living in the strange, half-empty Red House, with mysterious and reclusive Mrs Waverley, will change their lives forever. Jacqueline Wilson wrote her first novel when she was nine years old, and she has been writing ever since! She has written over 100 books and is the creator of characters such as Tracy Beaker and Hetty Feather. Bex recently caught up with Jaqueline for a natter, listen below!